I love an engagement session that is all about gorgeous light, location, and of course, the couple. And this one, shot in an old greenhouse by Nancy Neil is seriously magical. I’m super in love with her long black dress and his suspenders. 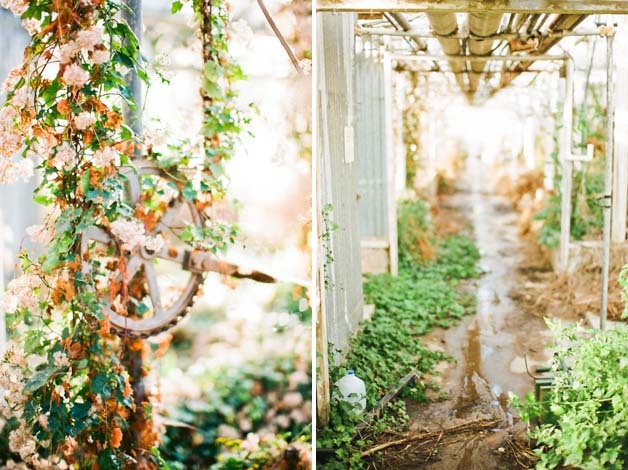 And of course the greenhouse itself is pretty amazing… So where do you plan on shooting your own engagement session?